Yesterday, Catholics from all over the world watched in horror as the great Church of Paris, Notre Dame, was succumbing to flames! Over 800 years of Catholicism….the Masses, the Pilgrimages, the Benedictions and oh! so much more has taken place there! Some of my own children have been there as they took part in the Chartres Pilgrimage… three times they visited the Cathedral…. a landmark of our Faith! Some people have said, “Look guys, it’s only a Church. Christ is in our hearts.” And, of course, this is true…and a beautiful thing. But, as Catholics, we know that this monument of generations of faithful Catholics, this House of God that Our Lord has resided in for centuries was more than “just a building.” It was a symbol of our Faith, standing erect and majestic, in spite of the troubles of the centuries that it has seen. The secular news spoke of it…. My heart is broken. Today, we lost one of the most beautiful churches in the world. For 800 years in stood as a transcendent reminder of God’s presence among men. Built to house priceless works of art, holy relics, and above all the sacraments, it was made by a world that no longer exists, the world of Christendom in which the holy mysteries of faith permeated everything. I sent these words to my daughters and daughter-in-law as we were watching the fire unfold. Some of us were in tears, we all were heavy of heart. And it brought to mind…. This is what we have been working on throughout the years as we have seen the destruction of our Faith….the watering down of all the Church has stood for since Christ founded it. We are rebuilding, from the inside out! This is what we focus on here….learning about the Faith, the sacramentals, the saints, how to live the liturgy within the home and the significance of our relationships in rebuilding Catholic culture. These things need to be taught and passed on because so much has been lost. These are the true treasures of the Church that we hold in our hearts and that we can live out in our everyday lives. We are rebuilding Catholic Civilization from within…we parents, teachers, laborers, single men and women. We are renewing our Faith by educating ourselves on what has always been important as Catholics….what our Faith is truly about….And how we can live this out each day…in our families, our schools, our work places, our community. We are heirs to so much beauty, so much truth, so much faith. We must not squander it. Yes, Notre Dame will be rebuilt. But the real icon of our Faith is in us. And we have been rebuilding and will continue to rebuild. The Faith, our Catholic culture will come back but it is up to us. This life is very short. Let us do what we can, with charity and zeal, to rebuild our beloved Catholic Faith! Spring! What a beautiful time of the year to teach our children about Mother Nature and its workings in relationship to the Supernatural…. Sky, trees, sun, all of nature was created by God and serves Him perfectly, giving Him great glory. But nature study by itself teaches only an assortment of interesting facts. It can teach much more, if we would use it to teach as our Lord did and help our children to see the world as proof of God and His greatness and generosity. For instance, one time our Lord said: Consider the ravens, for they sow not, neither do they reap, neither have they storehouse nor barn, and God feedeth them. How much are you more valuable than they! Women might be more emotional than men, but, on the whole, what is called commonsense seems to be equally divided among the sexes. Some are born with it; some learn it through experience; others never acquire it. Commonsense is natural prudence. It means choosing the right means, doing the right thing. For the conduct of life and for getting to heaven, commonsense is not enough. We need the supernatural virtue of prudence. Through this virtue a wife and mother keeps everything in her life in proper relation to God and His plan for us. In other words she never does anything that could take her away from God, or take others away from Him, and the conduct of her life is intelligent, secure, Christian and holy. Lovely Little Tidbits for Your Day – Prayers, Poems…. Ever faithful to Thy command. When hopeful to Thee, I retreat. When this vale it must depart. To mark me, forever, in Thy Love-Fold. The liturgy of the Holy Church gives testimony to the role of the heart in religious life; she has blessed us with a litany to the Sacred Heart of Jesus. There is no litany dedicated to the divine intellect or the divine will. A real man likes to picture his wife as one with spirit and bounce. Because she is intelligent with a mind of her own she knows when to maintain a principle, when to be roguish and sportive. Gifted with imagination she can give herself to the game of intriguing her husband. Always she is exciting and vivacious. A young mother–very true to her role of mother and at the same time very artistic–got the idea of comparing her role with that of cloistered sisters. We are rearing for You. who claim it every minute. We are bound by the thousand little demands of life. Begins to sing his Matins. There is so much to be done in the house. faithful sitter for the little ones. We measure out the time for visits parsimoniously. We have no sisters to relieve us on another shift. From the children’s room to the kitchen and to and fro. And all the baby’s special things. In this life of sacrifice, come to our help, O Jesus! Are you blessed by this site? Consider donating today. Our benefactors are remembered in our daily, family rosaries…. This post contains affiliate links. Thank you for your support. Children and Christmas – Fr. Raoul Plus, S.J. It is easy to understand how enraptured children can become at the contemplation of a tiny Babe in a manger. To have God reduce Himself to their own status, to become a child like them, to need a mother, what more could they desire!They feel on a footing with Him. The Almighty is of their stature! We are told that on Christmas Eve, Saint John of the Cross used to carry a statue of the Infant Jesus in procession about the monastery. The procession would stop before each monk’s cell asking hospitality for the Divine Babe. The cells, like the hearts of the monks, would open to faith and to love. Only then would the statue be carried to the Crib and the Divine Office begin. Children share the simplicity of these holy monks. Nothing attracts them more than the Crib.This very attraction makes it imperative that they learn about it correctly. Care must be taken not to mix in with the gospel mystery any details which the child will later come to recognize as false. What good can come of representing Santa Claus almost as God the Father who has given us His Son? If we mix the false with the true, it is no wonder the child will not be able to separate legend from doctrine later on. The Gospel is sufficiently extraordinary in itself without our adding any of our own creations to it. If we do, we may well fear the child will become disgusted later at being deceived and reject everything. Any charming legend or pious little story we may want to tell them when they are very little should be kept quite distinct and handled very differently from the dogmatic truths and authentic historical facts we teach them. Let us not introduce fairies into the story of Jeanne of Arc’s childhood, nor put the legend of Saint Nicholas rescuing little children on a level with the realities of the Redemption, with the facts of Our Lord’s saving us from hell. If, therefore, we are to capitalize on the child’s attraction for the marvelous, let us avoid abusing his credulity; above all when dealing with the lives of the saints, with the Blessed Virgin and with Christ, let us not mix the false with the true. Let us always keep on a plane apart those truths which are to be forever the object of ineradicable belief. There is, however, a positive suggestion to offer: Explain to the child how Baptism has made him a living Crib; not a wooden manger padded with straw, but a living Crib; not a crib where only little Jesus lives but a Crib where the Three Persons of the Holy Trinity dwell, the Three Divine Persons. Here, too, is splendid opportunity to show the child the difference between the two presences—the presence of God in the soul through grace and the presence of Jesus in the stable through the Incarnation. Lovely gifts! Beautiful and graceful, these Religious necklaces can be worn to show your devotion to your Heavenly Friends! Get it blessed and wear it as a sacramental! Available here. We picked Rosie up from the Convent on Wednesday. She seemed to rally that day, was able to say goodbye, and we had a nice drive home. The evening was more difficult. At the convent, she wore a heart holter monitor for a couple of days, she also has had an MRI and an EEG. It seems that they cannot find a reason for her “seizure-like”, frequent episodes and her extreme headaches, weakness, etc. So….the Sisters started a novena for her yesterday and we are joining in. I am going to include it here if anyone would like to join along (and tag some of your own intentions to it, too). Also, today is the beginning of the St. Andrew Christmas Novena. Maybe you could tack Rosie onto your intentions? I am very grateful for any prayers you can send our way. Immaculate Virgin Mary, you were pleasing in the sight of God from the first moment of your conception in the womb of your mother, St. Anne. You were chosen to be the mother of Jesus Christ, the Son of God. We believe the teaching of holy Mother the Church, that in the first instant of your conception, by the singular grace and privilege of Almighty God, in virtue of the merits of Jesus Christ, Savior of the human race and beloved Son, you were preserved from all stain of original sin. We thank God for this wonderful privilege and grace He bestowed upon you, as we honor your Immaculate Conception. Look graciously upon us, as we implore this special favor: the complete healing of Rosie. Virgin Immaculate, Mother of God and our Mother, from your throne in heaven turn your eyes of pity upon us. Filled with confidence in your goodness and power, we beg you to help us in this journey of life, which is so full of dangers for our souls. We entrust ourselves entirely to you, that we may never be the slaves of the devil through sin, but may always live humble and pure lives. We consecrate ourselves to you forever, for our only desire is to love your divine Son Jesus. Mary, since none of your devout servants have perished, May we too be saved. O Mary,Conceived without sin, pray for us who have recourse to thee. Rosie gets her blessing from Mother Abbess before we leave. A relic of St. Benedict (which also happens to be Rosie’s middle name…yes, Benedict) is here for her to venerate each day. 🙏🏻 Starting today! Powerful Novena…Repeat this prayer 15 times each day from today, November 30th, until, and including, December 24. May our Lord grant you your worthy intentions! “One evening I was in their home about dinnertime. 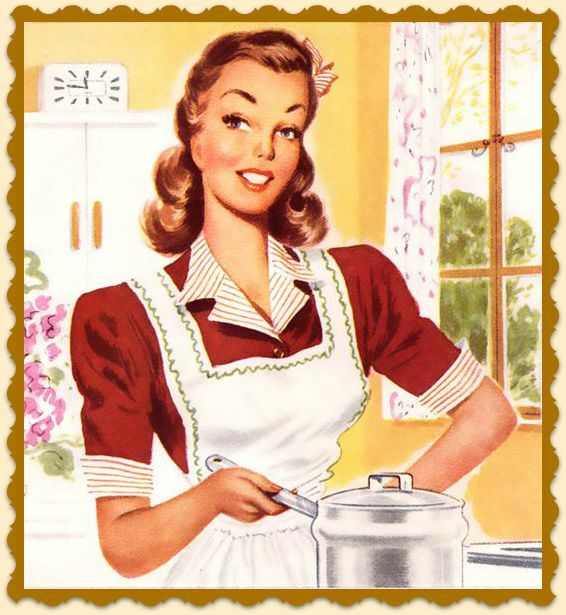 She was busy in the kitchen putting the final touches on the dinner when her husband came home from work. This happened to be payday. But this was not enough. She went into the living room where the children were all playing on the floor. She made them all stop and stand up. The father stood there beaming. Not only did his wife appreciate him, but taught their children to. In his eyes, she was a beautiful woman. I’m not sure she did this every payday, but I know that here was a home where the man was appreciated for his daily efforts. A little story…Hubby was filling up his truck one day, it was early and cold and he was off to work….a job that was hard and required much physical labor. A priest (and friend) was at the gas station also. He said hello to my husband and then asked him how he was? We are in control of our own thoughts, reactions and attitudes, as Fr. Philippe points out in the following story…. I want to cite briefly a recent testimony to interior freedom, one both very different from and very close to St. Thérèse’s. It moved me deeply. It is the testimony of Etty Hillesum, a young Jewish woman who died at Auschwitz in November 1943, and whose diary was published in 1981. Her “story of a soul” unfolded in the Netherlands at a time when the Nazis’ persecution of Jews was intensifying. When Etty began to write her journal, her moral life was far from edifying. She was emotionally vulnerable, had no fixed moral guidelines, and had had several lovers. She was, however, driven by a powerful craving for the truth about herself. Thanks to a friend of hers, a psychologist and also a Jew, she discovered (without ever becoming explicitly Christian) some of the values that lie at the heart of Christianity: prayer, the presence of God within herself, and the evangelical invitation to abandon herself trustingly to Providence. Before she was finally deported to Auschwitz, while a prisoner in a Dutch transit camp, she showed a faith in God, courage in suffering, and a devotion to neighbor that demonstrated the reality of her spirituality despite the dark areas in her life. It is astonishing to read how this young woman devoted herself to living by the Gospel values she was discovering little by little. Just when all her exterior freedoms were being progressively taken away, she discovered within herself a happiness and interior freedom that no one could steal from her from then on. This morning I cycled along the Station Quay enjoying the broad sweep of the sky at the edge of the city, breathing in the fresh, unrationed air. And everywhere signs barring Jews from the paths and the open country. But above the one narrow path still left to us stretches the sky, intact. They can’t do anything to us, they really can’t. They can harass us, they can rob us of our material goods, of our freedom of movement, but we ourselves forfeit our greatest assets by our misguided compliance. By our feelings of being persecuted, humiliated, oppressed. By our own hatred. By our swagger, which hides our fear. We may of course be sad and depressed by what has been done to us; that is only human and understandable. However, our greatest injury is one we inflict upon ourselves. I find life beautiful, and I feel free. The sky within me is as wide as the one stretching above my head. I believe in God and I believe in man, and I say so without embarrassment. Life is hard, but that is no bad thing. If one starts by taking one’s own importance seriously, the rest follows. It is not morbid individualism to work on oneself. True peace will come only when every individual finds peace within himself; when we have all vanquished and transformed our hatred for our fellow human beings of whatever race—even into love one day, although perhaps that is asking too much. It is, however, the only solution. I am a happy person and I hold life dear indeed, in this year of Our Lord 1942, the umpteenth year of the war. No circumstance in the world can ever prevent us from believing in God, from placing all our trust in Him, from loving Him with our whole heart, or from loving our neighbor. Faith, hope, and charity are absolutely free, because if they are rooted in us deeply enough, they are able to draw strength from whatever opposes them! If someone sought to prevent us from believing by persecuting us, we always would retain the option of forgiving our enemies and transforming the situation of oppression into one of greater love. If someone tried to silence our faith by killing us, our deaths would be the best possible proclamation of our faith! Love, and only love, can overcome evil by good and draw good out of evil. Growth in faith, hope, and love is the only pathway to freedom. Do you need some good gift ideas? Visit My Book List today! Black Friday Sale! $75.00 Discount ! Package Deal on all my books! (Catholic Wife’s Maglet included though not pictured). Available now through Sunday here. Regular Price: $225.00… Available this weekend for $150.00! 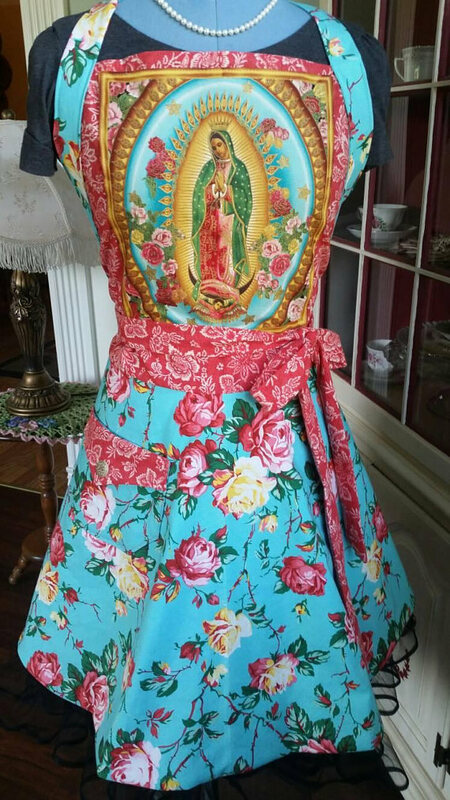 Beautiful, Feminine Aprons for Sale! Sz on We Will Rebuild! Marilyn on We Will Rebuild! Joan on We Will Rebuild! Christ in the Home – Fr. Raoul Plus S.J.